En plus des nouveaux dialogues sur l'incendie de Teldrassil, nos confrères de Wowhead ont récemment dataminé plusieurs textes intéressants. En effet, on assiste au retour de Mia Grisetête qui semble être mal en point. De plus, on apprend que la Horde cherche à s'allier avec les San'layn, des Elfes vampires. Le prince de sang Dreven semble d'ailleurs jouer un rôle prépondérant dans la campagne de guerre. Découvrez les nouvelles lignes de dialogue ainsi que des résumés à la suite de cet article. Pensez-vous que les San'layn puissent rejoindre la Horde ? Mia Grisetête est la femme de Genn. Genn semble essayer de la réveiller. Mia semble avoir été blessée par Sylvanas. I... errr... arrggg... The Banshee Queen took my son. She took my kingdom. She is not taking my wife! Mia... MIA! Open your eyes, my Queen... my love! 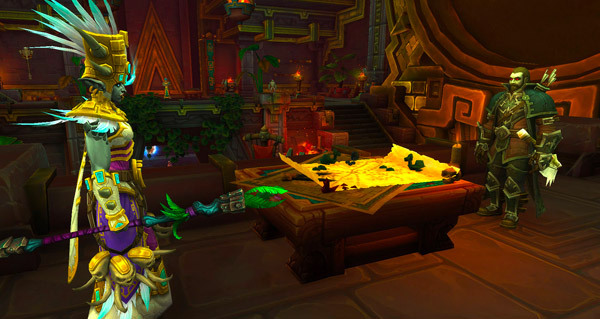 Talanji apporte les cendres de Vol'jin dans le tombeau sacré des rois Trolls. Pour entrer dans Atal'Dazar et offrir le repos à Vol'jin, il faut se battre. Talanji entre en connexion avec l'esprit de Vol'jin. En triomphant des sbires de G'huun, la Horde obtient l'aide des Zandalari. We come bearin' da ashes of Vol'jin, son of Sen'jin, ta be honored in dis sacred place. I will bless the civilians. Vol'jin made a deal wit' Bwonsamdi ta defeat da powerful Zalazane. When Zandalar tried ta unite da troll tribes, Vol'jin chose da safety of his people over da prophet's dark powers. At de time, Zul's vision of a grand troll empire was very tempting to my father. I must commend your chieftain for seeing de bigger picture. When it be clear dat our warchief, Garrosh, be unwillin' ta lead wit' honor, Vol'jin led da rebellion ta depose da warmonger. It is a hard thing to do what your leaders will not. De right to enter is yours. Let it be known dat I find Vol'jin, son of Sen'jin, worthy of dese sacred tombs. Though to enter Atal'Dazar, you may need to fight. I recommend de champion be de one to carry dese ashes to dere final resting place. Talanji:	Vol'jin, son of Sen'jin, hear de voices of your friends and family. Dey are wondering where you are. Master Gadrin: I be hearin' him! Vol'jin: Loss... Loss. So much loss. So many without guidance. So many without justice. Dere hope be taken by G'huun. 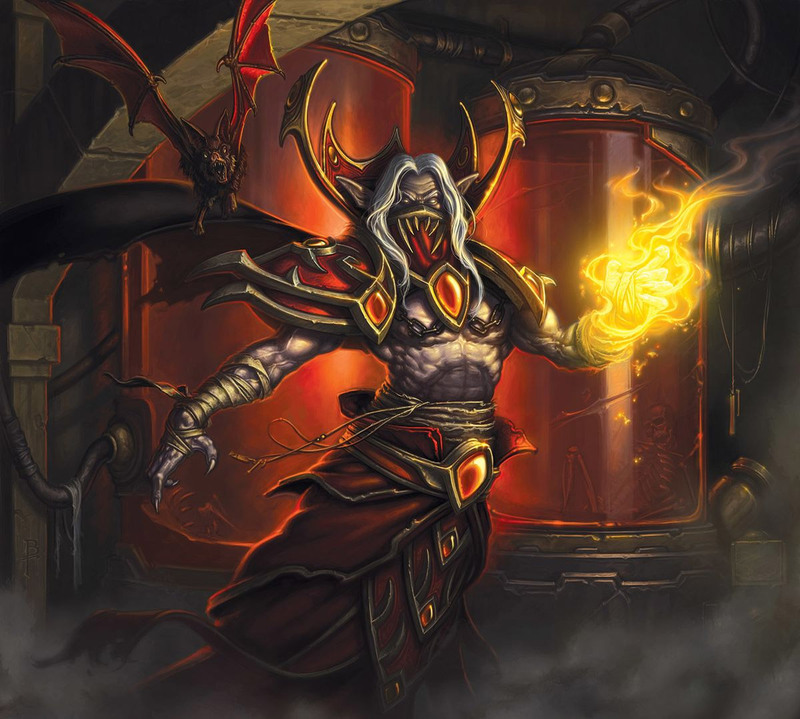 Talanji: Vol'jin, can you hear us? Reveal yourself, spirit. Vol'jin: Show dem, leader of Zandalar. Show da blade to those who need to see it da most. Give dem peace. Vol'jin: Ya brought a champion to dese shores against ya father's will. Ya learned da secrets of G'huun when no one be listenin'. Ya set in motion what be needed ta save ya people. Now, more than ever, dey be callin' for a leader dey can love and trust. Show dem da blade. Become da symbol dey need. Talanji: Behold de blood of G'huun. By his will were borne de deaths of Shadra, Hi'reek, Torga, and ...and Rezan. Talanji: By his will were borne de deaths of so many of our brothers and sisters. Talanji: Let dis glaive be displayed as a reminder dat no matter how far we fall, no matter how much we lose, we are Zandalari! We adapt, we find a way to survive! Talanji: If it were not for dis hero of de Horde, our losses would have been far worse. Dis proves, more than ever, dat it is time for us to adapt, to become part of de world again. Le prince de sang Dreven est un San'layn au service de la Horde. L'Alliance est choquée de voir la Horde faire appel à ces vampires. Gallywix finance la campagne de guerre de la Horde. L'Alliance lance une double attaque sur Dreven et sur Gallywix. L'Alliance aide des Tortollans en échange d'informations sur les mouvements de troupes de la Horde. Shandris tend une embuscade à Dreven. Le prince de sang tue une grande partie des forces de Shandris. What you're describing sounds like one of the san'layn... a blood prince. 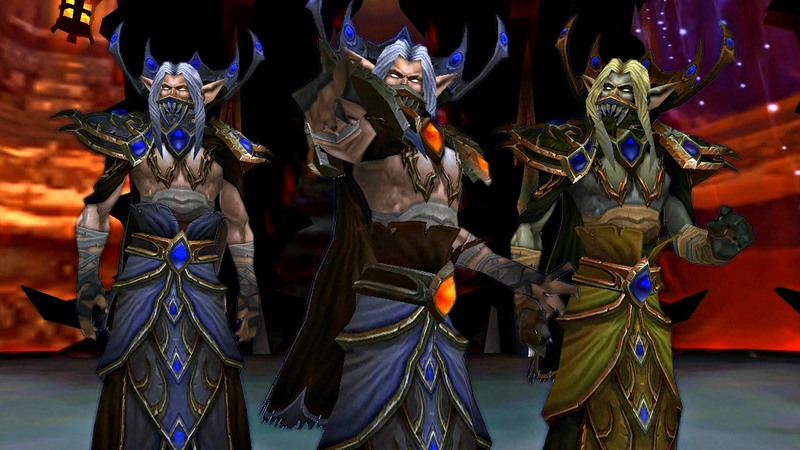 Is the Horde really employing those vampiric elves? How far they've fallen. King Anduin must be informed at once. Our task is complete here, but our mission has only just begun. We will deal with Blood Prince Dreven soon, General. But this is a rare opportunity to cripple the Horde's military. Everything else must wait. We can kill that gluttonous goblin any day! If Dreven escapes, we may never find him again. Gallywix funds the Horde's war campaign and understands Azerite better than any of their other leaders. He is their tactical weak spot, and it is rarely exposed. We must strike now. You saw what Dreven was capable of, Wyrmbane. What if there are more like him? Forgive my interruption, but I believe you're both right. We cannot let either of these opportunities escape us... And we don't need to. Ma'am. There are tortollans in Nazmir and intel indicates they would know of the Horde's movements. Several of them have been captured by blood trolls. We save the tortollans, we get information about the Horde's movements, which should lead us to Captain Areiel. Oh, sure, I can tell you all about the Horde. But I need a little something extra in return. We just saved your life, turtle. What more do you need? A good story! Or stories. I was supposed to get great ones from Torga, but well, as you saw he's currently dead. Do you have any good ones? And I served across the first three wars, survived being prisoner to a bunch of barbaric orcs, and helped kill a black dragon. I have been alive for over 10,000 years and have fought in every war. I saw the original Well of Eternity with my own eyes. Oh, this will be fun! I'll give you what you need to know, and then you can tell me all about your war experiences. This Areiel you're looking for is in the Necropolis, along with a whole host of Horde! She seemed real bothered by some missive she received. Said how she should be out killing the Alliance instead of dealing with some nonsense. I knew after that I should leave before making any more deals for stories. Shandris, it's been... two, three thousand years? To think we'd meet again like this, and with you helping a human, of all things. When one falls, another takes its place! One guy, three spiders, 26 total legs, you didn't have a chance. Looks like it's time for me to tear out the bad battle spiders and put in some good battle spiders. The Alliance. I knew you'd be too idiotic to learn your lesson from our last encounter. How many more of your kind must I kill before you understand to stay out of our way? The killing ends today, Dreven. Perhaps I'll make an example out of this pathetic human. Shandris Feathermoon, attempting an ambush? How bold. You're going to wish you burned with Darnassus! Time to show you what this pathetic human can do! Embrace death with me, night elf! I will never give in, Shandris Feathermoon. See how frail your allies are! Falia... Lyrias... Aeolyn... Keeshan... I swear, $n, Dreven will pay! <cough> Ma'am... not quite... dead yet. Looks like his power... ain't all that great... with those minions gone. Keeshan! I'll never ceased to be amazed by the determination of humans. I'll be... good as new in no time... shouldn't have been me, though. Your friends shoulda survived. Elf, human, we are all equal, Keeshan. No one of us is more valuable than the other. $n, Keeshan, come. Let us return to Fort Victory... and request a proper burial for my friends. Thank you for all your help $n, Keeshan. I must go now and continue the hunt for Dreven. May Elune bless your way. Keeshan, why do you keep calling me ma'am? You're allowed to be at ease. Ma'am, I read your file from SI:7. You've been alive for more than ten thousand years, fought in more wars than I can ever imagine. Far as I'm concerned, I'm barely worthy of serving next to you. Least I can do is call you ma'am out of respect. You are a hero in your own way, Keeshan, from your service in the first three wars to your acts of heroism in Redridge. How does a decorated elven general know about someone like me? You're not the only one who requests files from SI:7. Sylvanas essaie de s'allier avec les San'layn. Les trolls n'ont pas vraiment confiance. Rokhan: Princess, thank ya for comin' down from Zandalar. We be hard at work here keepin' back da blood trolls and Alliance invaders. Talanji:	Apologies for my delay, Rokhan. Tell me of your status here. Has dis Captain Areiel been useful? Rokhan: Areiel be killin' both da Alliance and blood troll forces and helped us establish a base in da Necropolis. Talanji:	And yet she is not here. Is she too busy to give a simple status report? Dreven: Captain Areiel is not coming because she is slain, Talanji. Talanji:	Princess Talanji to you, Prince Dreven. And how do you know dat? Dreven: Call it one of my special traits. The Alliance have disrupted the Horde forces in the Necropolis and killed Areiel in the process. Talanji or Rokhan: Sylvanas ain't gonna like dat. We need ta be movin' fast on our plan ta stop da Alliance, Prince Dreven. Talanji or Rokhan: Dere is a collapsed tunnel to de south of here dat connects Nazmir and Vol'dun. Clear it, and de Horde will be able to strike de main Alliance base in Vol'dun with ease. Talanji or Rokhan: Dere be a collapsed tunnel dat connects Nazmir ta Vol'dun. Take ya followers, use ya powers ta clear da rubble, den we be attackin' da main Alliance forces. Dreven: You want us to use our abilities... to move rocks. And why should I follow you, troll? Talanji or Rokhan: Because part of ya agreement with Sylvanas was respectin' da hierarchy of authority within da Horde, and brudda, I be outrankin' ya. Dreven: ... I shall do as you ask, for now. We will clear this tunnel and send word when your forces can move out. Talanji:	I do not trust dis Dreven, Rokhan. It is not wise to involve san'layn, of all things, in dis conflict. Rokhan: Sylvanas wants ta give 'em a chance. Dey got no home left. If dey can work with us, den dey got a home with da Horde. If not, dey be gone. Talanji:	I see. I shall return to Zuldazar. Keep me informed of de Horde operations in Nazmir. And be careful, Rokhan. Alors que Shandris attaque le prince de sang Dreven, Alleria dirige ses troupes vers Gallywix. Gallywix est le chef de la Horde qui a le plus de connaissances au sujet de l'azérite. Gallywix est venu piller une ville. Gallywix n'est pas content car l'Alliance rogne ses marges et son profit diminue. Les Gobelins sont en train de faire la fête quand l'Alliance débarque. Alleria opens a void portal behind her. Allow your new allies, the void elves, to lead the charge in eliminating Gallywix. We will hunt him down and bring you his head, while Shandris maintains our focus on tracking that Blood Prince. A wise strategy. I approve. Thank you, Alleria. Your aid is most welcome. Lack of fun detected. Correcting. Boring party guests will not be tolerated. 110% fun level must be maintained. Request for surprise received. Proceeding with reckless abandon. This will be a hilarious story to tell your friends. The surprises will continue until morale improves. I should've known that a goblin like Gallywix wouldn't be able to resist looting a city literally made of gold. Gallywix is slippery. He won't stay out in the open for long. We can travel through the Void to save time. Follow me. Scram! It's the Alliance! Scram! It's the Alliance! The Alliance is counting on the void elves. We will not disappoint. I will not die... to a goblin. Outta my way! The Alliance is here! No delays! No excuses! No promotions! We can't afford to stop operations for this! You're cutting into my profit margins! Thank you! You're most welcome. Someone deploy the emergency kit, we've got company! This is a hostile takeover! Earnings are better than expected! I'm gonna turn you into sweet, sweet profit. That's it, I'm breaking out my management techniques! The shareholders aren't going to like your involvement with our business! I planned some slack time into the schedule just to kill you! I'm going to get a nice bonus for bringing back your head! If we don't kill them, this cost is coming right out of the coffee budget! Get ready to cash out! Wait! I'll pay you to resurrect me! Come on! Lorsque les races alliées rejoignent l'Alliance, Anduin prononce un discours. Champion, you have spearheaded a long campaign against a relentless foe. What's more, you have faced the Horde with courage... and honor. I wish I could say our work was done, but there remains much more ahead of us. I fear the days shall grow darker... before they can grow brighter. The Alliance must ask even more of you, $n. It is clear that we cannot hope to end the warchief's reign until we sever her ties to the Zandalari. That day will come... soon. But for now, at least, know that you serve as an inspiration to those around you. And for that, hero, you have my thanks. Champion, your work in Kul Tiras has been vital to our cause. Only through unity can the Alliance grow stronger. But the tides of war are ever-shifting. It is time our campaign's focus changes as well. The footholds you established in Zandalar were a bold first step. Now we will use them to take the fight to the Horde! Seek out targets of opportunity in troll lands. Undermine the warchief's efforts at every turn. Sylvanas prononce un discours lorsque vous débloquez une race alliée pour la Horde. Champion, when Princess Talanji came to us seeking aid, I recognized an opportunity to add her kingdom's strength to our own. I knew there was no one more capable of winning the Zandalari to our cause than you. But victory demands more than bolstering our own strength. It requires hobbling our enemies until they grovel before us. Use the footholds you secured in Kul Tiras to cripple the boy-king's forces. Shake their faith in their futile cause. Take their hope, and you will claim victory, $n. For the Horde! The world is full of soldiers, champion. But few truly have the stomach for war. You, it seems, have a genuine taste for it. Though victory still eludes us, it draws closer every day. We must not rest until the last flicker of hope in the boy-king's heart turns to ashes. Kul Tiras has become a rallying point for the Alliance. The return of its vaunted navy has emboldened them. But soon those tide-born curs will pay the price for defying us. You embody the best of the Horde, $n. I know that you will be the spark that sets Boralus ablaze. Les forces de la Horde attaquent discrètement l'Alliance. Certains membres ne peuvent s'empêcher de tuer des civils. Après avoir tué un commandant, l'escouade attire l'attention des gardes. Lorash: You're cold as ice... I like it. Technically, we don't need to kill the civilians... but I like your style. That wasn't a guard, but far be it from me to stop us from murdering the Alliance. Hey, hey. Careful with the civilians. We may draw the guards' attention. I'm going to look the other way on that one. I can't say I've killed a man in his sleep before. Ahhh, no no. This one belongs to me. Kill this one quickly, before they alert the others! This was supposed to be a quick, quiet, and concise attack, damn you. Focus! Sloppy, sloppy, sloppy! Be more quiet next time! First, let me signal the others to begin their assault. This fire burns with purple smoke. They should see it crest through the trees soon. After you, $n. You mark the safe targets, I'll bring them down. Try using the dagger I slipped into your pocket. I think you'll like it. No, no, no! The city's in an uproar! I'll get us out of here. That should do it. How does it feel to single-handedly sack an entire city, $n? Oh bordel ça part dans tous les sens. Pour les San'layn, c'est certainement pour compenser le fait que l'Alliance obtienne l'aide des trolls de sang. Citation de Xano Pour les San'layn, c'est certainement pour compenser le fait que l'Alliance obtienne l'aide des trolls de sang. Non l’alliance ne s ́allit pas aux troll de sang disons qu’ils se passent des imprévus. 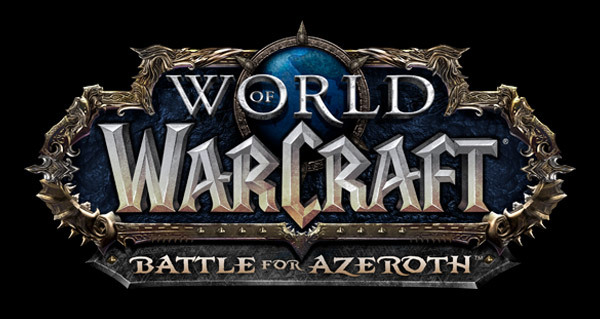 Sinon c’est moi ou l’alliance est de plus en plus ridicule avec bfa. La horde est bien partit pour avoir les san’layn ce qui risque d’enfoncer le clou niveau population. Mais LOL ? Les vampires? Sérieusement ? Temps d'attente restant : 10 h et 55 min.